After the fall of the Soviet Union, most of the socialist countries tragically fell to the onslaught of Western imperialism. Among the horrific blows dealt to the international communist movement, five socialist states resisted the tide of counterrevolution and, against all odds, maintain actually existing socialism in the 21st century. Though each face very specific obstacles in building socialism, these five countries–the Republic of Cuba, the Socialist Republic of Vietnam, the Lao People’s Democratic Republic, the Democratic People’s Republic of Korea, and the People’s Republic of China–stand as a challenge to the goliath of Western imperialist hegemony. Among them, however, China stands unique as a socialist country whose economic growth continues to supersede even the most powerful imperialist countries. Though an embarrassing number of Western “left” groups challenge the designation of any of these five countries as socialist, no country raises greater opposition than China. 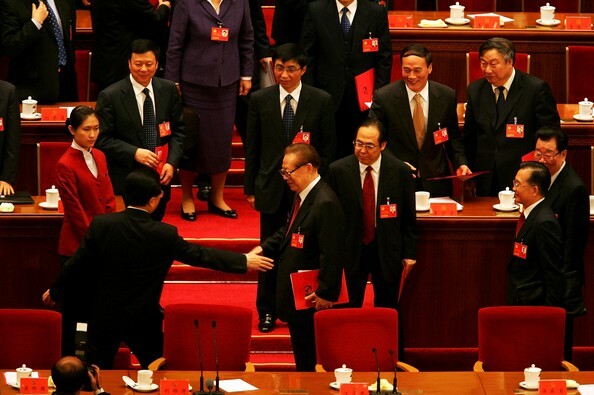 Many Western “left” groups claim that modern China is a full-fledged capitalist country. Owing their ideological heritage to bogus theoreticians like Leon Trotsky, Tony Cliffe, and Hal Draper, some groups argue that China was never a socialist country, claiming instead that the Chinese state is and has been state capitalist. First, Chinese market socialism is a method of resolving the primary contradiction facing socialist construction in China: backwards productive forces. Second, market socialism in China is a Marxist-Leninist tool that is important to socialist construction. Third, the Chinese Communist Party’s continued leadership and control of China’s market economy is central to Chinese socialism. Fourth, Chinese socialism has catapulted a workers state to previously unknown economic heights. Fifth, the successful elevation of China as a modern industrial economy has laid the basis for ‘higher’ forms of socialist economic organization. And sixth, China applies market socialism to its relations with the Third World and plays a major role in the fight against imperialism. From these six theses, I draw the conclusion that Marxist-Leninists in the 21st century should rigorously study the successes of Chinese socialism. After all, if China is a socialist country, its ascension as the premiere world economic power demands the attention of every serious revolutionary, especially insofar as the daunting task of socialist construction in the Third World is concerned. Market socialism is a method of resolving the primary contradiction facing socialist construction in China: backwards productive forces. Unlike industrialized Western countries, the primary contradiction facing China was not between the proletariat and the bourgeoisie–the proletariat and its party had already overthrown the bourgeoisie in the 1949 revolution–but rather between China’s enormous population and its underdeveloped productive forces. While well-intended and ambitious, campaigns like the Great Leap Forward would continue to fall short of raising the Chinese masses out of poverty without revolutionizing the country’s productive forces. From this contradiction, Deng proposed a policy of “socialism with Chinese characteristics,” or market socialism. After Mao’s death in 1976 and the end of the Cultural Revolution a year later, the CCP ,under the leadership of Chairman Deng Xiaoping, launched an aggressive campaign of modernizing the underdeveloped productive forces in China. Known as the four modernizations–economic, agricultural, scientific & technological, and defensive–the CCP began experimenting with models for achieving these revolutionary changes. Since its goal is to transform the present backward state of our productive forces, it inevitably entails many changes in the relations of production, the superstructure and the forms of management in industrial and agricultural enterprises, as well as changes in the state administration over these enterprises so as to meet the needs of modern large-scale production. To accelerate economic growth it is essential to increase the degree of specialization of enterprises, to raise the technical level of all personnel significantly and train and evaluate them carefully, to greatly improve economic accounting in the enterprises, and to raise labour productivity and rates of profit to much higher levels. These proposed reforms launched market socialism in China. Beginning with the division of the Great Leap Forward-era People’s Communes into smaller private plots of land, market socialism was first applied to China’s agricultural sector to boost food production. From the 1980s to around 1992, the Chinese state delegated greater authority to local governments and converted some small and medium sized industries into businesses, who were subject to regulations and direction from the CCP. Since the implementation of market socialism, China has experienced unprecedented economic expansion, growing faster than every other economy in the world. Deng’s market socialism decisively lifted the Chinese masses out of systemic poverty and established the country as an economic giant whose power arguably exceeds the largest imperialist economies of the West. Market socialism in China is a Marxist-Leninist tool that is important to socialist construction. While Deng’s concept and implementation of market socialism is a significant contribution to Marxism-Leninism, it’s not without precedent. Proletarian revolution has historically broken out in the countries where the chains of imperialism are the weakest. One of the uniting characteristics of these countries is backwards productive forces; underdeveloped because of decades of colonial and imperial subjugation. Far from the first instance of communists using markets to lay an industrial foundation for socialism, China’s market socialism has its roots in the New Economic Policy (NEP) of the Bolsheviks. Facing similar levels of underdevelopment and social unrest, the Bolsheviks implemented the NEP, which allowed small business owners and peasants to sell commodities on a limited market. Designed and implemented by Lenin in 1921, the NEP was the successor to Trotsky’s policy of war communism, which prioritized militarizing agricultural and industrial production to combat the reactionary White forces. 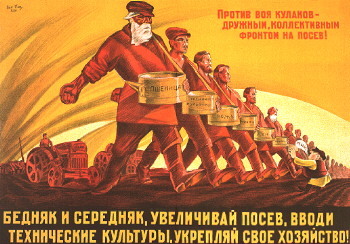 Because of their economically backward material conditions, peasants overwhelmingly resisted war communism, which resulted in food shortages for the Red Army. Correctly perceiving the importance of forging a strong alliance between the peasantry and the urban working class, Lenin crafted the NEP as a means of modernizing Russia’s rural countryside through market mechanisms. Do not neglect the gravity of Lenin’s words in this passage. He acknowledges that the introduction of markets into the Soviet economy does nothing to fundamentally alter the proletarian character of the state. More provocatively, however, is his characterization of the Soviet economy as an “economic rivalry between socialism, which is now being built, and capitalism.” (4) According to Lenin, capitalist relations of production can exist within and compete with socialism without changing the class orientation of a proletarian state. What we have to deal with here is a communist society, not as it has developed on its own foundations, but, on the contrary, just as it emerges from capitalist society; which is thus in every respect, economically, morally, and intellectually, still stamped with the birthmarks of the old society from whose womb it emerges. Accordingly, the individual producer receives back from society — after the deductions have been made — exactly what he gives to it. Fact: Market socialism is in accordance with Marxism-Leninism. Fact: Lenin’s view is that markets and some capitalist relations of production do not fundamentally alter the proletarian class character of a socialist state. Fact: Lenin believed that countries could build socialism through the use of markets. 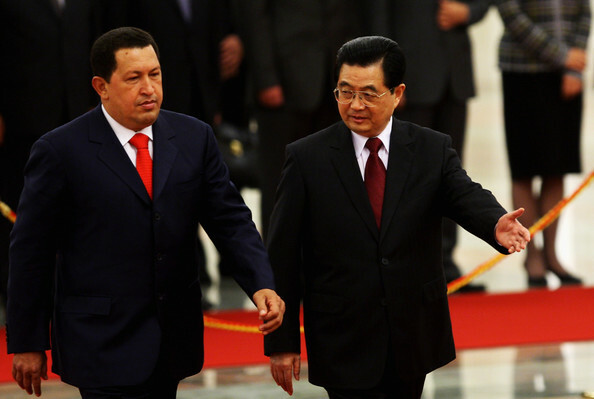 Fact: The principle that informs Deng’s market socialism–“to each according to his work”–comes directly from Marx. The Chinese Communist Party’s continued leadership and control of China’s market economy is central to Chinese socialism. Western commentators have predicted that China’s market reforms would lead to the downfall of the CCP since Deng announced market socialism in the late 1970s. These same commentators have repeated this claim for the last 30 years and are constantly proven wrong as China lifts itself out of poverty with the CCP at the helm. Market reforms have not altered the fundamental socialist underpinnings of Chinese society because the masses and their party continue to rule China. While the so-called ‘privatization’ process of allows some private ownership, whether domestic or foreign, Scissors makes clear that this is a far cry from real privatization, as occurs in the United States and other capitalist countries. The state, headed by the CCP, retains a majority stake in the company and guides the company’s path. No capitalist country in the history of the world has ever had state control over all of these industries. In countries like the United States or France, certain industries like railroads and health insurance may have state ownership, but it falls drastically short of dominating the industry. The importance of this widespread state ownership is that the essential aspects of the Chinese economy are run by the state headed by a party whose orientation is towards the working class and peasantry. The People’s Bank of China (PBC) highlights one of the most important ways in which the CCP uses the market system to control private capital and subordinate it to socialism. Far from functioning as a capitalist national bank, which prioritizes facilitating the accumulation of capital by the bourgeoisie, “this system frustrates private borrowers.” (8) The CCP floods the market with public bonds, which has a crowding-out effect on private corporate bonds that firms use to raise independent capital. By harnessing supply and demand in the bond market, the PBC prevents private firms, domestic or foreign, from accumulating capital independently of socialist management. While the CIS goes on to cry crocodile tears about the lack of economic and political freedoms in China, Marxist-Leninists read between the lines and know the truth: China isn’t capitalist, the CCP isn’t pursuing capitalist development, and market socialism has succeeded in laying the material foundation for ‘higher socialism’. Chinese socialism has catapulted a workers state to previously unknown economic heights. While the Great Leap Forward was an ambitious attempt at laying the industrial foundation necessary to build socialism, the facts are in: China’s gross domestic product (GDP) in 1960, after the GLF, was $68.371 billion. (10) In 2009, China’s GDP sits just under $5 trillion, making it the second largest economy in the world. (11) In other words, the modern Chinese economy is about 73 times the size of its economy following the Great Leap Forward, which was previously the largest socialist economic overhaul in Chinese history. Incidentally, Pew finds that “Chinese satisfaction with these aspects of life has improved only modestly over the past six years, despite the dramatic increase in positive ratings of national conditions and the economy.” (12) While the Chinese masses celebrate the recent dramatic increase in the nation’s standard of living, the longevity of their satisfaction reflects a deeper relationship with the state. The universality of concerns about income inequality, concerning even wealthier citizens, demonstrates the continued supremacy of socialist values in China. Cultural norms and values arise from the material conditions and relations of production. If China was a capitalist country, the widespread prevalence of socialist values–cutting across income levels–would not exist. To contend otherwise is to abandon a materialist analysis of culture. The successful elevation of China as a modern industrial economy has laid the basis for ‘higher’ forms of socialist economic organization. Markets are neither capitalist nor socialist, just as economic planning is neither capitalist nor socialist. Both of these forms of economic organization are just tools in the toolbox, and in some situations, markets are a useful tool for socialist construction. For 30 years, the CCP has successfully used markets as a tool for revolutionizing the country’s productive forces. Precisely because of this success, the state is rapidly moving towards more advanced forms of socialist industrial organization to replace the market mechanism. Deng understood that building a socialist agricultural economy capable of meeting the needs of China’s enormous population required developing the productive forces in the countryside, which markets could accomplish. Only after revolutionizing the productive forces of the entire country could the material basis for a full-scale collective economy–‘higher socialism’–exist. Massive state investment in agricultural infrastructure is “a significant shift away from the previous focus on economic development.” (15) Because of the success of modernization, “greater weight will be given to the redistribution of resources and a rebalancing of income.” (15) Instead of viewing market socialism as an end in itself, the CCP has harnessed the market as a means to generating an industrial base sufficient to build ‘higher socialism’. China’s extraordinary GDP growth and technological development via market socialism makes it possible to implement these sweeping revolutionary changes. On health care, Austin Ramzy of TIME Magazine reported in April 2009 that “China is laying out plans to dramatically reform its health care system by expanding coverage for hundreds of millions of farmers, migrant workers and city residents.” (16) These plans consist of spending “$125 billion over the next three years building thousands of clinics and hospitals and expanding basic health care coverage to 90% of the population.” (16) Rather than a reversal of the Deng-era reforms, China’s move back towards public health care is the logical progression of the more modernized and expansive health care system achieved through 30 years of market socialism. As foreign capital entered China, the corporations of imperialist countries–attracted by China’s vast labor pool–exploited some Chinese workers through capitalist relations of production. The exploitative behavior of foreign corporations constitutes a major contradiction in the Chinese economy that the CCP has taken concerted steps towards resolving. While all people in China retain access to essential goods and services like food and health care, the CCP places restrictions on foreign corporations’ ability to operate in China that severely curtail their politico-economic power in China. Dramatic increases in wages and benefits for Chinese workers, particularly migrant workers, is a serious blow to foreign corporations and makes China a decisively less attractive hub of cheap labor for foreign investors. 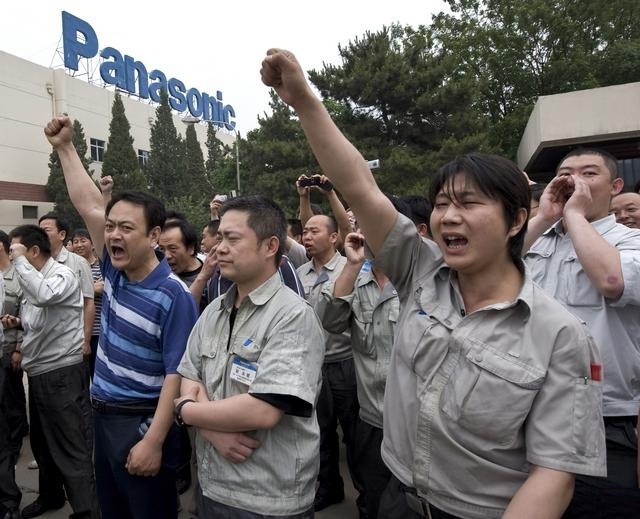 (21) Contrary to the actions of a capitalist state in the face of labor unrest, which generally consists of petty reforms or brutal repression, China’s response is to launch an offensive against the hoarding of wealth by foreign corporations by forcing them to pay substantially higher wages. The state is an instrument of class oppression. Bourgeois states reluctantly give the working class reforms, like minimum wage, when no other course of action is possible. Their orientation is towards improving conditions for the bourgeoisie and subordinating labor to capital. Proletarian states boldly support and immediately respond to the collective demands of the workers because they constitute the ruling class in the society. Greater willingness by the CCP to confront and attack foreign capital in the interests of the working class is the deliberate product of market socialism’s success in developing China’s productive forces. Having resolved the primary contradiction–backwards productive forces–the CCP is breaking ground on the contradiction between foreign capital and labor. Turning to the macroeconomic situation, China’s application of market socialism has led to serious disparities in income. While undoubtedly a defect of ‘lower socialism’, the Chinese state takes this contradiction very seriously and announced an unprecedented government spending campaign in March 2011 aimed at closing the income gap. (22) By increasing public spending by 12.5% in the next year, the CCP will allocate enormous government resources “for education, job creation, low-income housing, health care, and pensions and other social insurance.” (22) Far from a move designed to placate any social unrest, this monumental boost in social spending demonstrates the Chinese state’s continued proletarian and peasant class orientation. A correct position on China requires above all else a holistic examination of the country’s economy placed within the context of the CCP’s path towards modernization. Focusing too narrowly on China’s market economy and its defects clouds the most important facts, which is that the working class and peasantry still rule China through the CCP and the success of modernization via the market economy has paved the way for ‘higher socialism’. China applies market socialism to its relations with the Third World and plays a major role in the fight against imperialism. This is not the attitude of imperialism. Wen’s declaration here doesn’t even reflect the rhetoric of imperialism. The US and its allies in Europe constantly uphold their right to pursue their own interests in other nations, specifically those nations that have received substantial Western capital. China’s approach is markedly different, as it uses trade as a means of developing African social infrastructure–underdeveloped because of centuries of Western colonial oppression–and functions chiefly on a policy of non-intervention. This reflects the CCP’s commitment to the Marxist-Leninist understanding of national self-determination. Geopolitically, China offers an entirely separate international camp for nations at odds with US imperialism. As the US ratchets up tensions with Pakistan and continues to violate its national sovereignty in the wake of Osama bin Laden’s assassination, China announced on May 19, 2011 that it would remain an “all-weather partner” for Pakistan. (26) Premier Wen added, “Pakistan’s independence, sovereignty and territorial integrity must be respected.” (26) Coupled with an editorial published the same day in China Daily, the official state newspaper of China, entitled “US actions violate international law,” one can easily see the mammoth discrepancies between the imperialist camp and China. (27) These positions are virtually identical to the minority of left academics in the US, like Noam Chomsky, and contrast sharply with any mainstream account of US military involvement in Pakistan. While China has its shortcomings in terms of foreign relations, particularly its refusal to veto the UN Security Council resolution against Libya, it pursues a qualitatively different foreign policy from any capitalist countries. In terms of trade, China promotes independence and self-determination, where the West promotes dependence, exploitation, and subjugation. Geopolitically, it supports genuine people’s movements against imperialism and provides support to the other existing socialist countries. This is a foreign policy of cooperation deeply influenced by Marxism-Leninism. Marxist-Leninists in the 21st century should rigorously study the successes of Chinese socialism. Those countries that resisted the onslaught of counterrevolution after the fall of the Soviet Union demand rigorous study by Marxist-Leninists in the 21st century. Each of the five socialist countries pursued different paths of survival that offer lessons, but China has indisputably enjoyed the greatest success. Rather than echoing the counterrevolutionary lies of Trotskyite and left-communist groups about China’s lack of commitment to their abstract and utopian definitions of ‘socialism’, Marxist-Leninists should embrace China as a model of successful socialism whose economic power outstrips that of the greatest imperialist countries. At the core of these Trotskyite/left-communist falsehoods is a chronic pessimism about socialism that reflects the capitalistic cynicism towards proletarian revolution. China’s socialist economy is thriving and more than 1/5 of the worlds population were lifted out of poverty, and their silly irrelevant faction isn’t in power yet! According to them, China must be doing something wrong! Of course, Marxist-Leninists know otherwise. China is a socialist country and is arguably the most economically successful in history. That realization carries tremendous magnitude and should push Marxist-Leninists to seriously study the model and the works of Deng Xiaoping. Even today, other socialist countries are experimenting with variations of China’s model and see similar successes. If Deng’s concept of market socialism is a correct policy for proletarian states facing severely underdeveloped productive forces, then revolutionaries must recognize him as a significant contributor to Marxism-Leninism. As China ascends into building ‘higher socialism’, revolutionaries across the world should look East for inspiration as they struggle to throw off the chains of imperialism and actualize people’s democracy. Long live the universal contributions of Deng Xiaoping to Marxism-Leninism! Stand with the Chinese masses, and their party, in the exciting process of socialist construction! Swift victory to the international proletarian revolution!